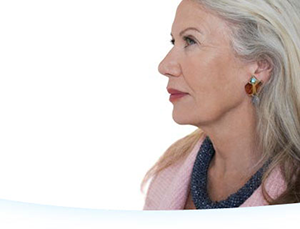 When it comes to cosmetic improvements, signs of ageing are the most obvious on our faces. Exposure to UV rays and air pollution, combined with the natural decrease in collagen production means that sometimes our faces get more weathered than we want them to. Smoking, excessive alcohol consumption, and many other external factors can also influence the ageing process. Thankfully, you no longer have to undergo surgery to make minor improvements to your face. If surgery and injectable cosmetic treatments don’t appeal to you, there are other alternatives that can transform the way you look and feel. Elsa Raskin, M.D. in Greenwich, CT offers IPL PhotoRejuvenation and Chemical Peels to help reverse your aging process. lightening and minimizing age spots, sun spots and excess pigmentation. lightening and minimizing the appearance of redness, rosacea and dilated and broken blood vessels. enhancing skin texture by stimulating the production of collagen. improve pore size by temporarily reducing oiliness of the skin. IPL photorejuvenation usually consists of a series of appointments, between 3-5 treatments with 3-6 weeks between each. The procedure itself should cause minimal discomfort and because it is non-invasive, it carries minimal risk. Also known as a photofacial, the laser that is used in this treatment emits a range of lightwaves that are then targeted at either the red blood cells or melanin in your face. The red blood cells are responsible for redness, rosacea and other related problems, whereas the melanin is responsible for the appearance of age spots and excess pigmentation. The light beam passes through the skin, causing the red blood cells or melanin to break down where they become absorbed by the body and therefore less visible. How Quickly Will I See the Results from IPL Photorejuvenation? The improvements made to the skin as a result of a photofacial are gradual and so while you may be able to see some changes after the first treatment, the best results will be seen after you have finished the course of sessions. How Long Do the Results from a Photofacial Last? How long the results from your IPL photorejuventation last will depend on how much sun exposure your skin gets after your treatment. Dr. Raskin recommends using a high SPF sunblock on your face all year round in order to protect your skin from sun damage, which will also help to prolong the results from any cosmetic facial treatment that you have. A superficial peel removes skin cells from only the top level of the skin (epidermis). The chemical only needs to be left on the skin for a few minutes to be effective, but afterwards your face may feel tight for several hours. The results from a superficial peel are reasonable, but regular treatment is required to maintain the effect. Medium peels remove cells from the top and middle layers of the skin. A stronger chemical is needed, meaning that a stinging or burning sensation may be felt when the peel is applied. It is normal for the skin to go brown or red in the days following your treatment, and it can take up to six weeks for it to return to a normal. The results from a medium peel are more dramatic, but are still only temporary, and you may find that you need to repeat the treatment every 6 to 9 months to maintain the effect. A deep peel will affect the deeper layers of the skin and is a much more comprehensive procedure. Most patients require an anesthetic and sedative to remain comfortable and calm during the process, as the peel may be left on the face for 30 minutes or more in order to achieve the desired effect. A freezing sensation may be felt when it is applied and Dr. Raskin will need to monitor your heart rate and blood pressure during the procedure as the chemical used can have an effect on the heart and kidneys. After your procedure, your face will probably be swollen, which can last for up to a fortnight. You may also experience some peeling in the days after, and redness which could persist for several months. Most patients also find that they need to take some pain relief for a few days after their procedure. The results of a deep peel are quite drastic, and the patient will usually find that their skin has lightened by a number of shades. Deep peels are not usually repeated as the effects are long-lasting. Am I a Suitable Candidate for IPL Photorejuventation or a Chemical Peel? Before you can be approved for any treatment, it will be necessary for you to attend a comprehensive consultation with Dr. Raskin. At this appointment, Dr. Raskin will ask you for detailed information about your health, general wellbeing and lifestyle, as well as undertaking an examination of your face. This will help her to determine which facial procedure will provide the best solution to achieve your goals. If you would like to reduce the signs of ageing on your face without having a surgery, then alternative facial procedures could be the perfect solution. To find out more about the different options available to you, or to arrange an appointment to assess your candidacy, make an appointment with Dr. Raskin today at 203-889-9100.